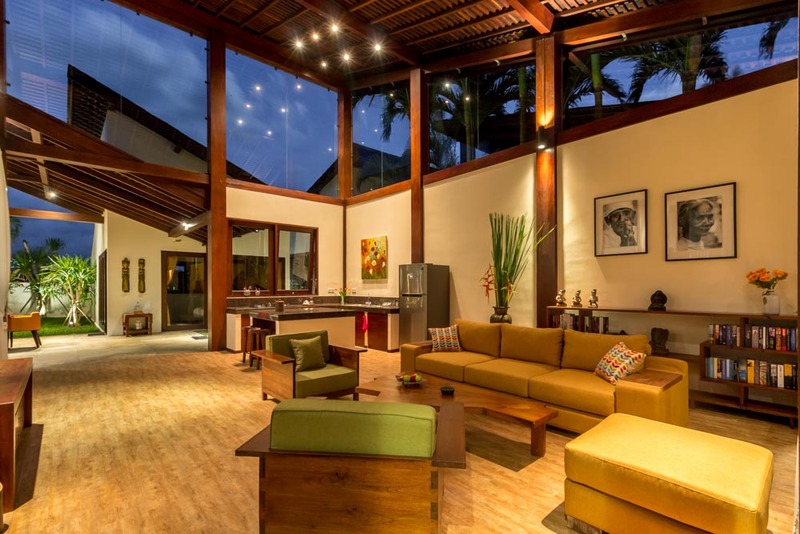 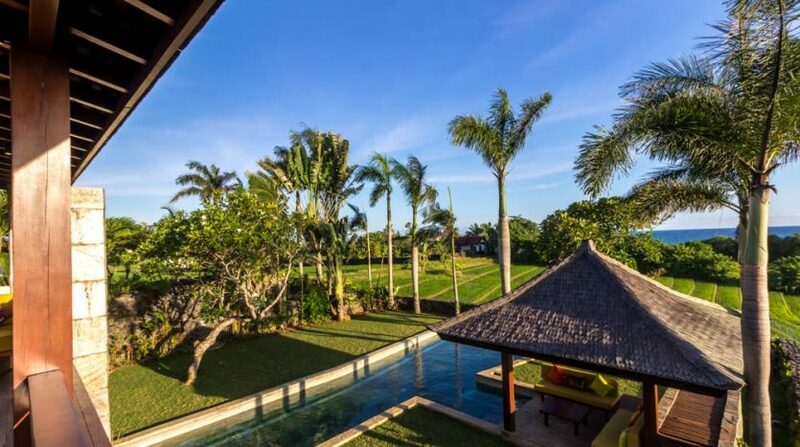 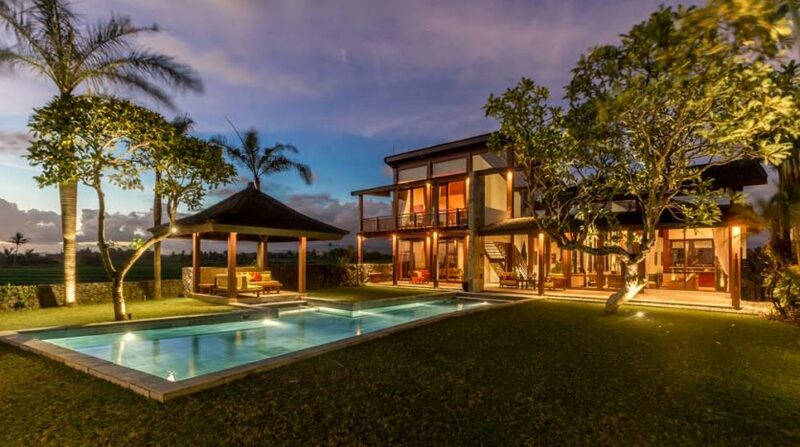 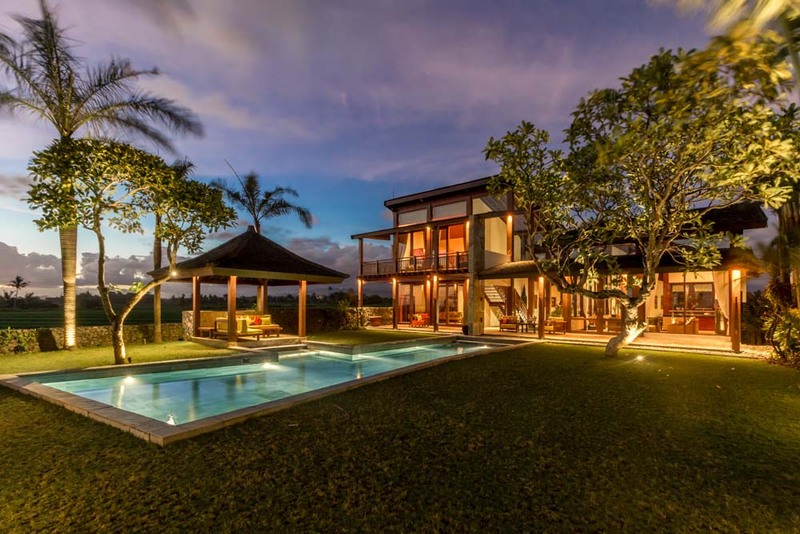 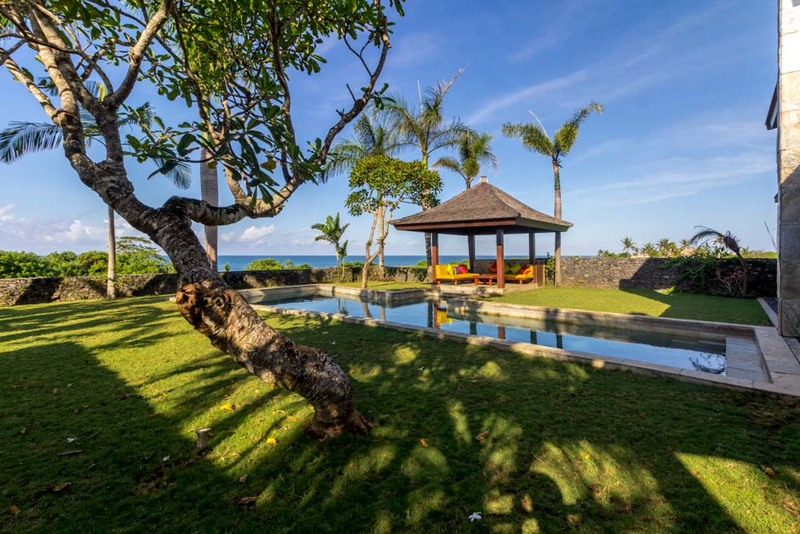 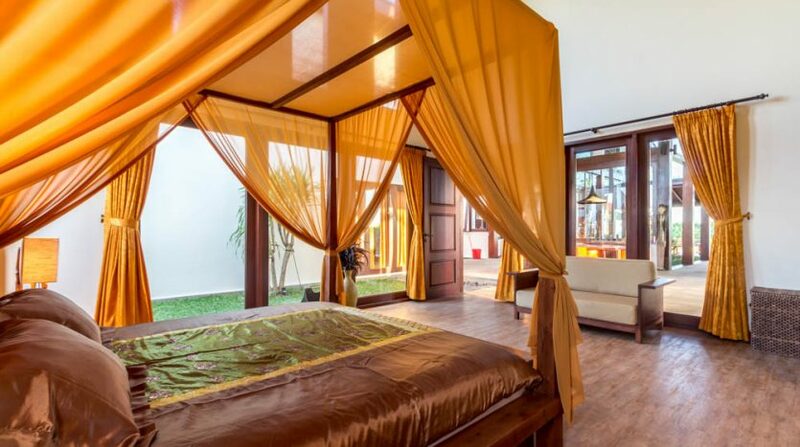 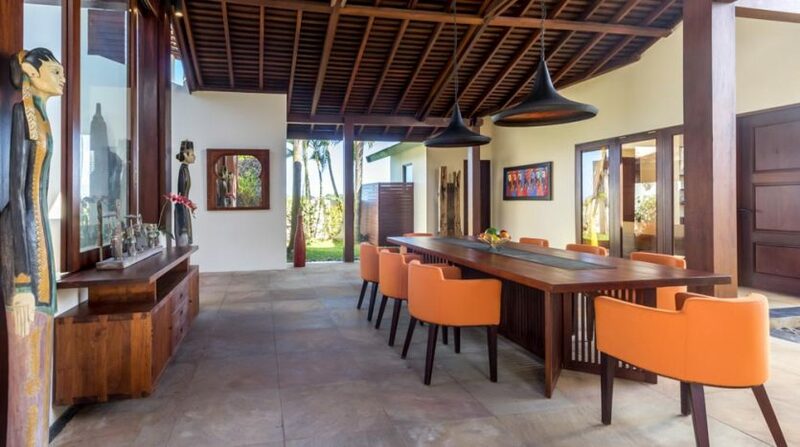 These newly renovated villas are located in one of the most beautiful locations in Bali. 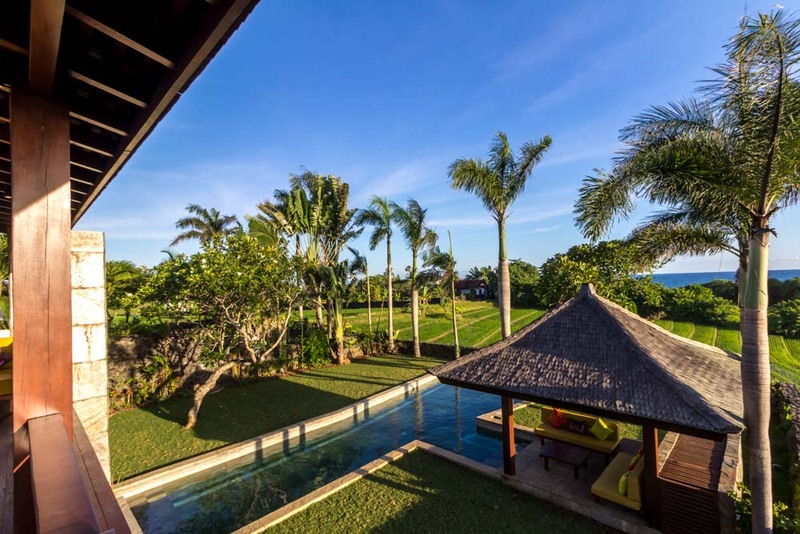 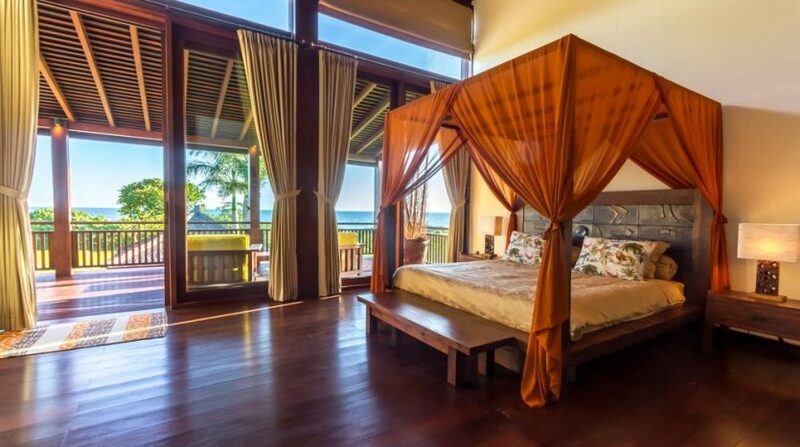 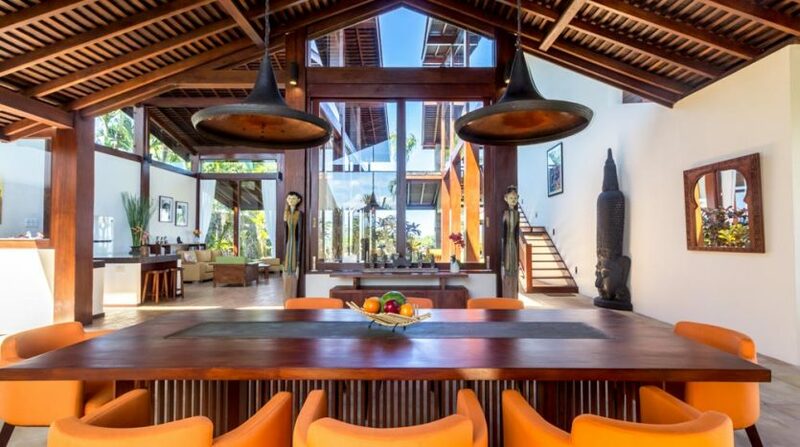 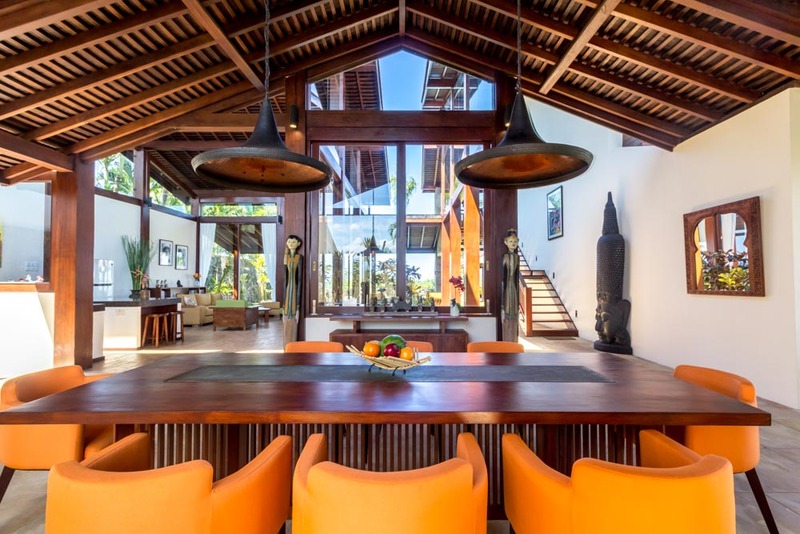 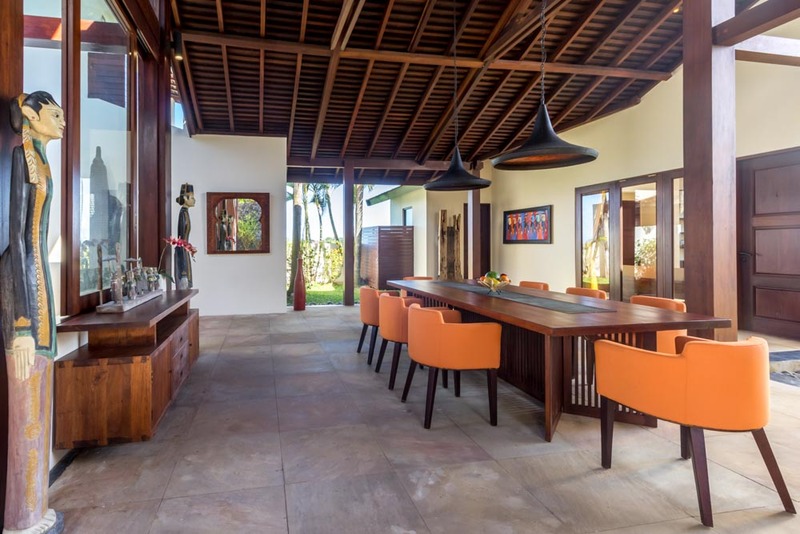 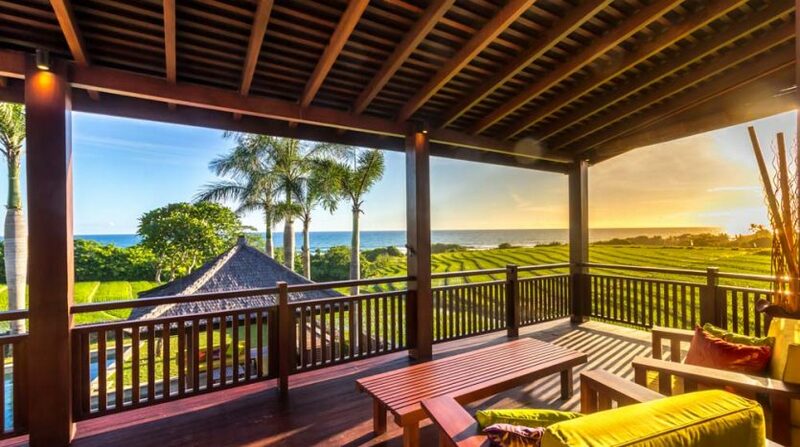 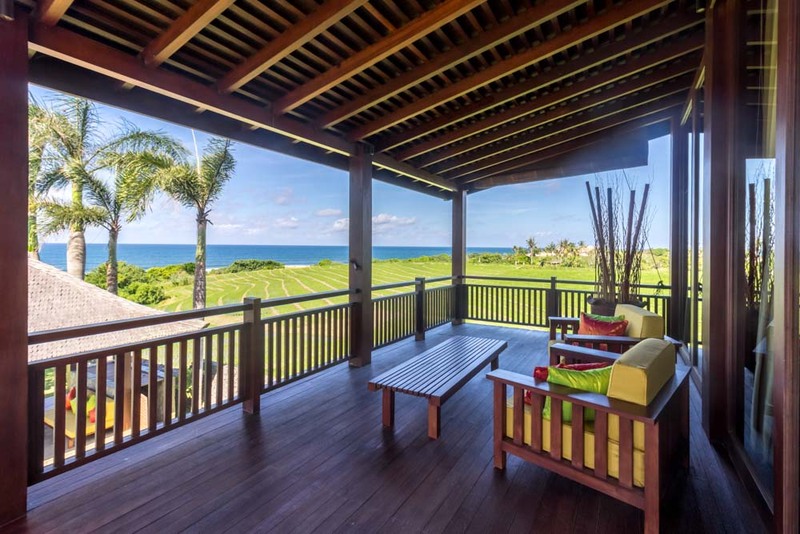 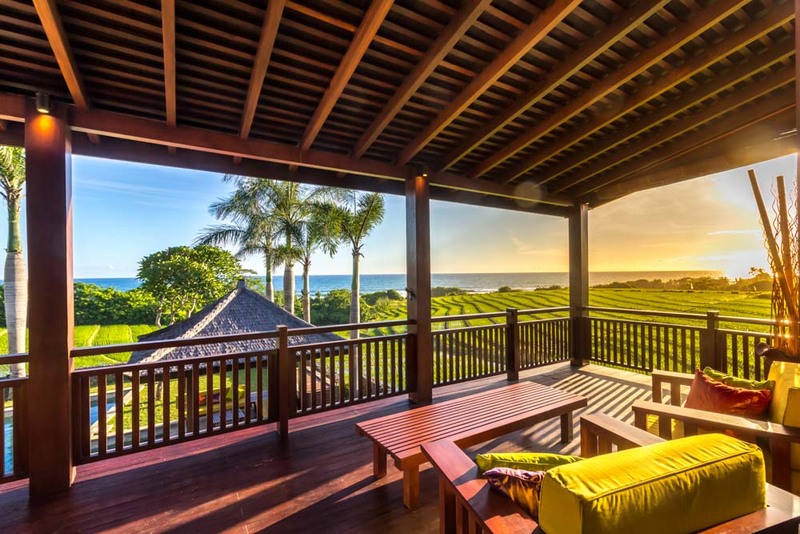 Two 4-bedroom units in a private and secure villa complex are available, just 200-metres from the Indian Ocean with magnificent unblocked 270-degrees views of the sea, rice fields and mountains. 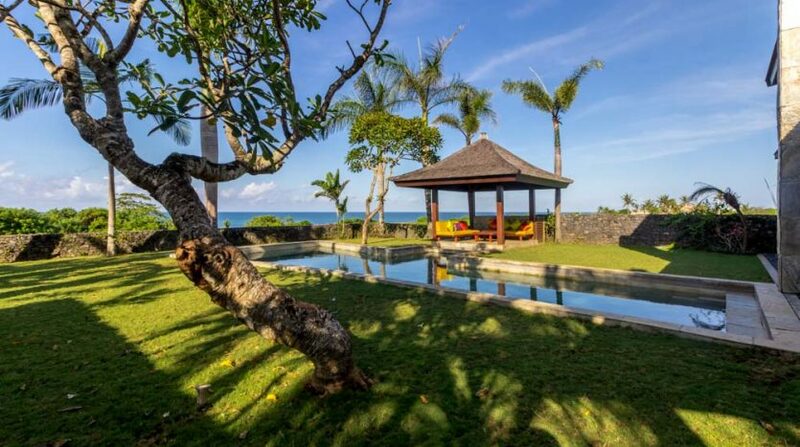 It’s worth noting, this area has been classed as an area of natural beauty and is just 40-to 45-minutes drive from Canggu. 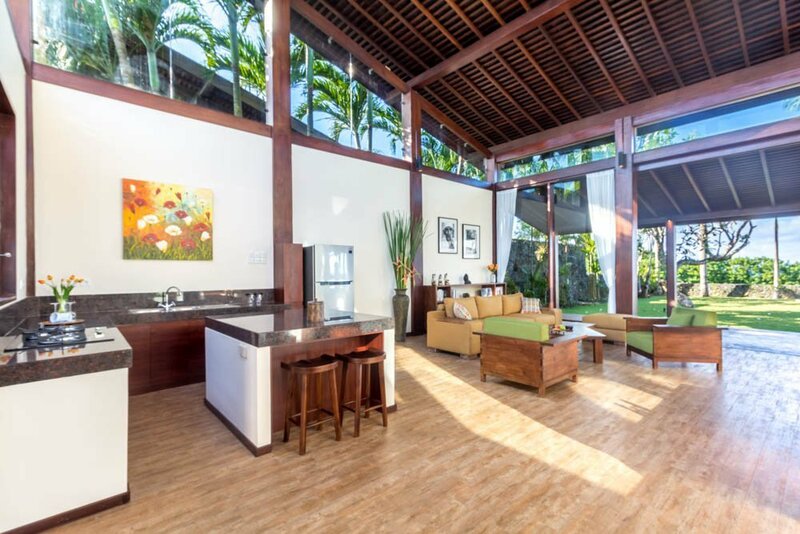 The villas feature the highest quality materials throughout including seventeen 30 x 30-cm wooden pillars that rise up to over 8-meters at their highest point. 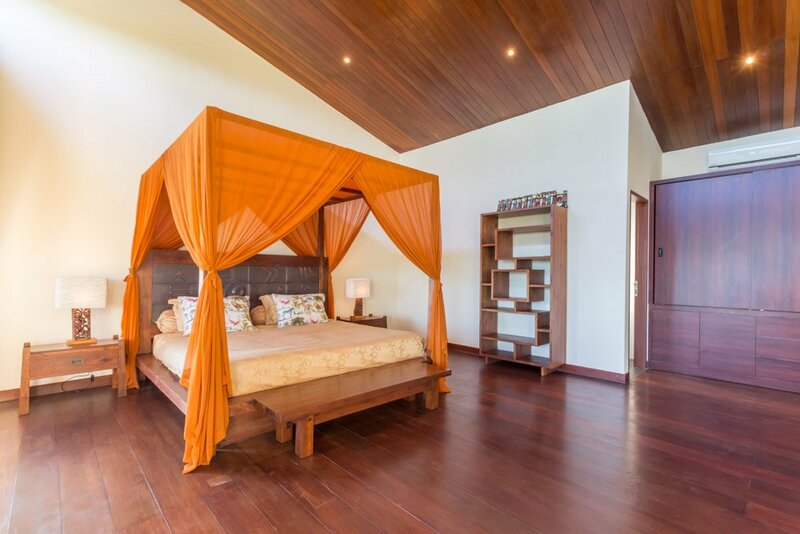 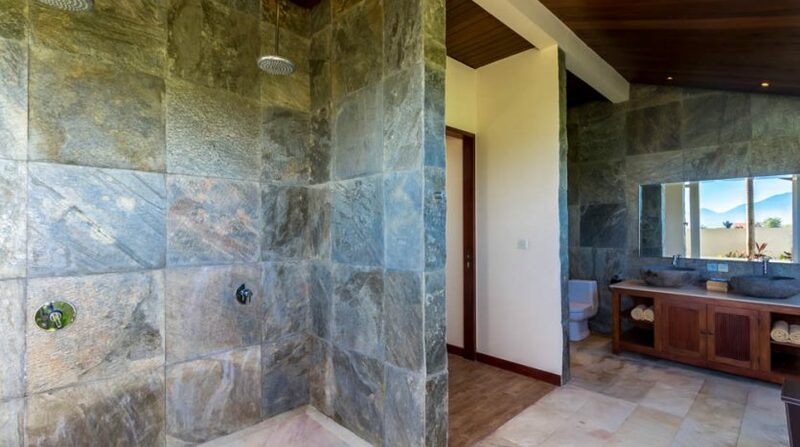 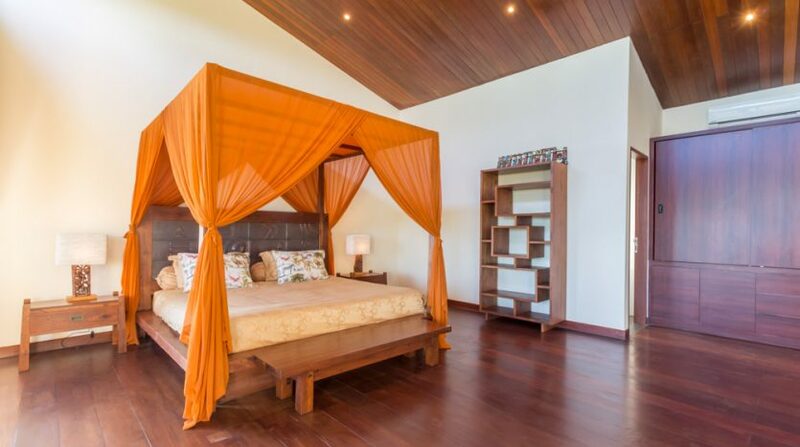 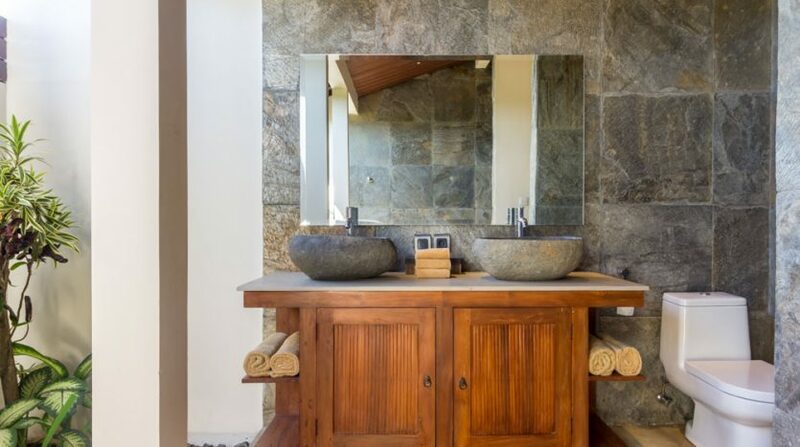 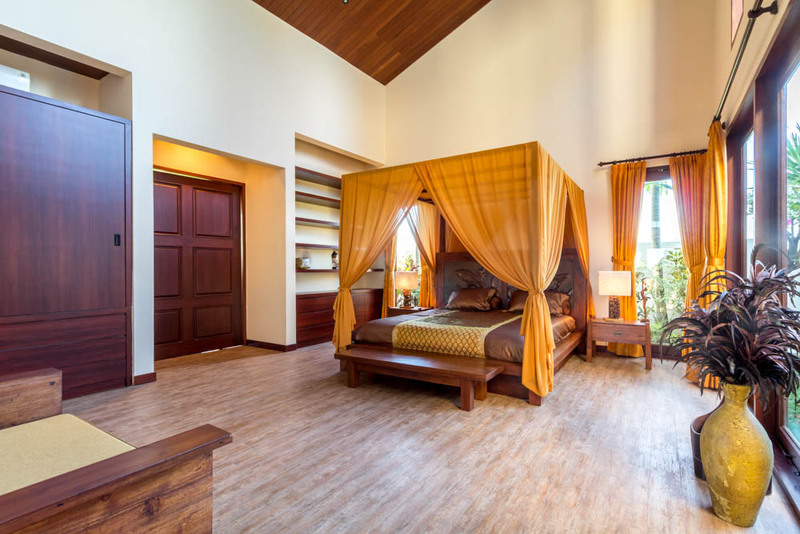 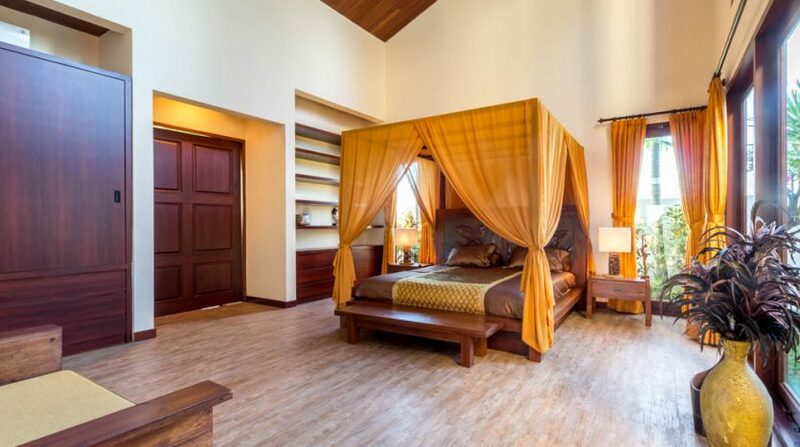 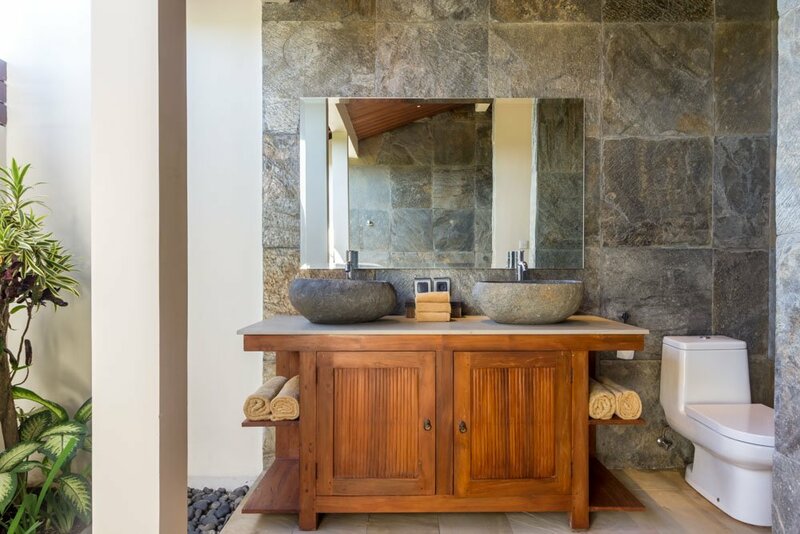 Each villa has 4-bedrooms with ensuite bathrooms. 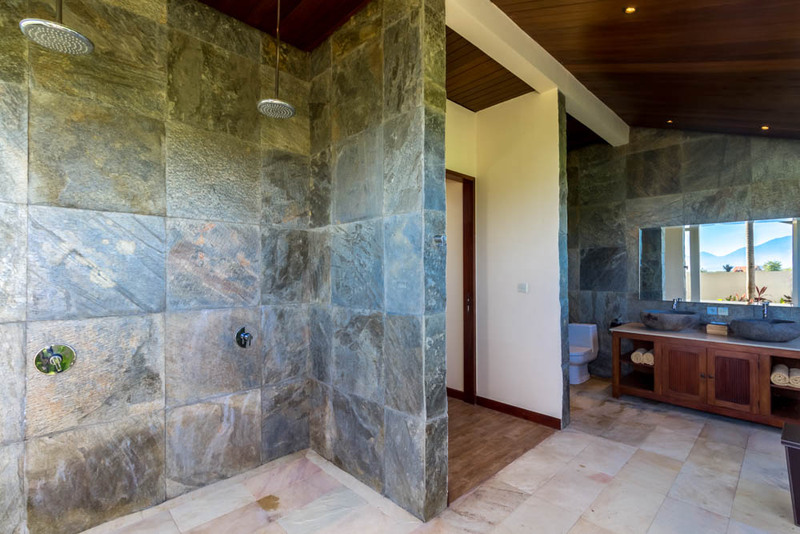 A complete renovation has just finished to bring them to a completely brand new condition including new floors, new kitchen, air conditioning units, electricity rewiring and much more. 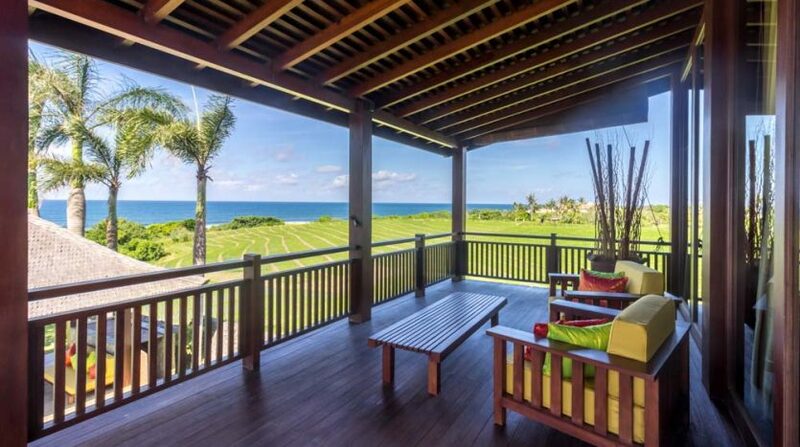 With most of the surrounding land owned by local investors, this is a very good opportunity for a savvy investor. 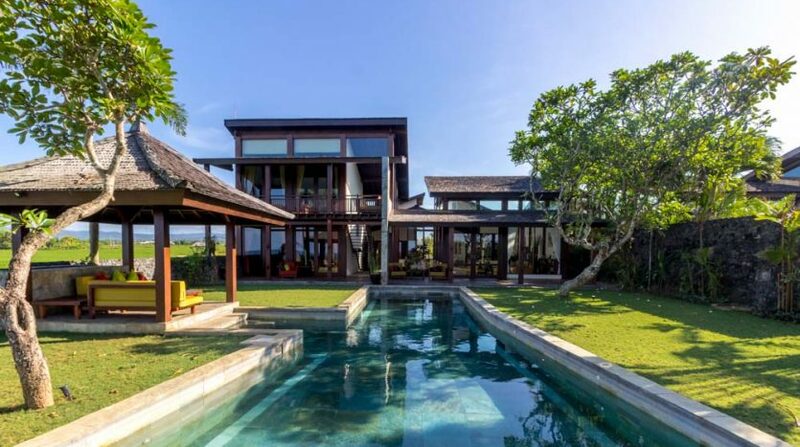 The plan of the new toll road linking the new International Airport with the 6-Star Trump hotel will be less than 1-kilometre behind the villa and with lots of other infrastructure planned for this area, there is a very real opportunity to experience significant capital appreciation. 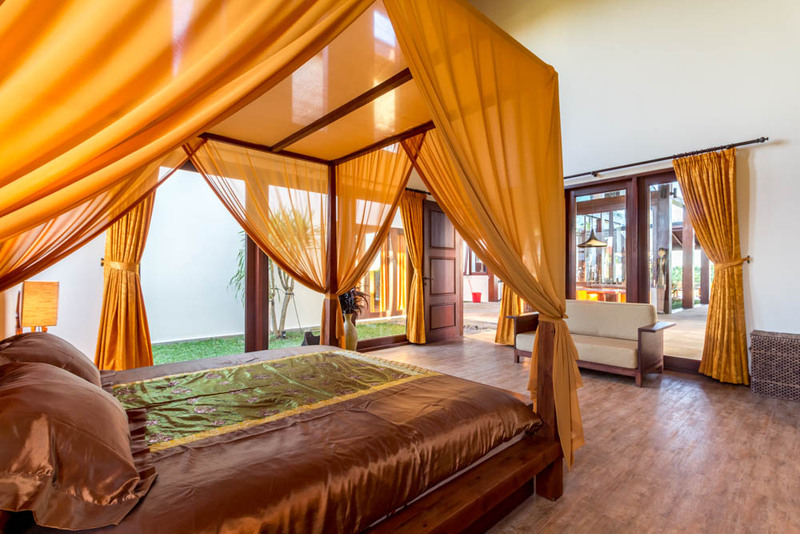 Located in a tourism zone it is also possible to obtain a Pondok Wisata (Rental License) which means you can generate a very healthy rental income and have a beautiful holiday home at the same time. 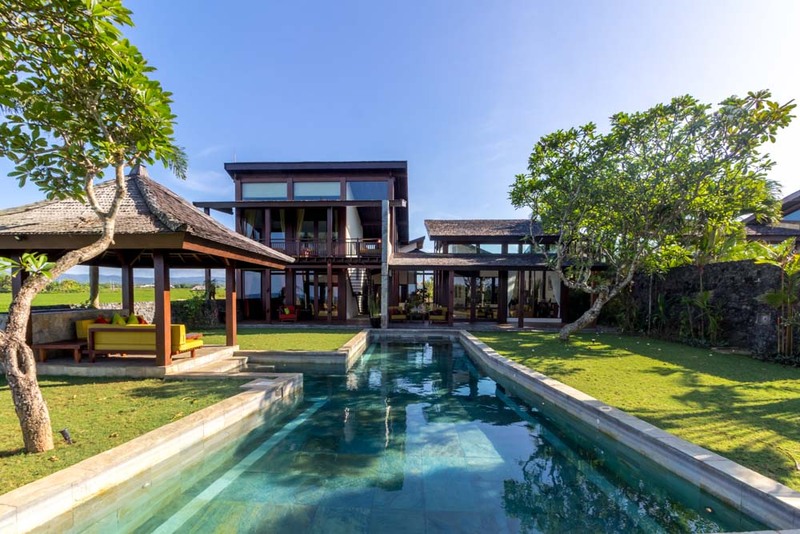 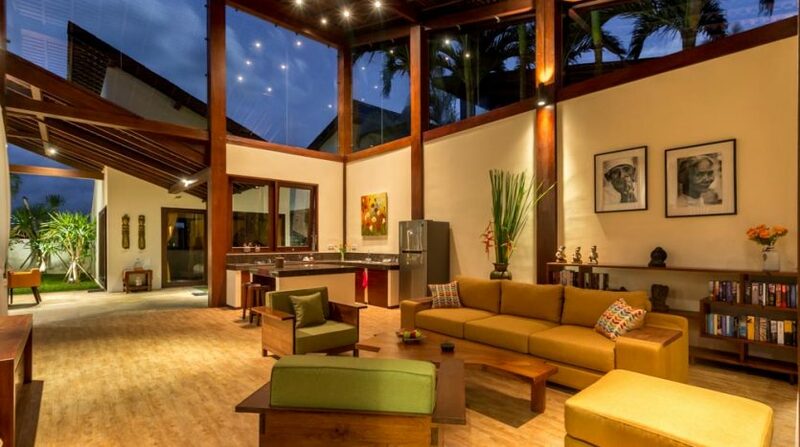 Or you can buy both at a very healthy discount for IDR 15,300,000,000 with a freehold title. 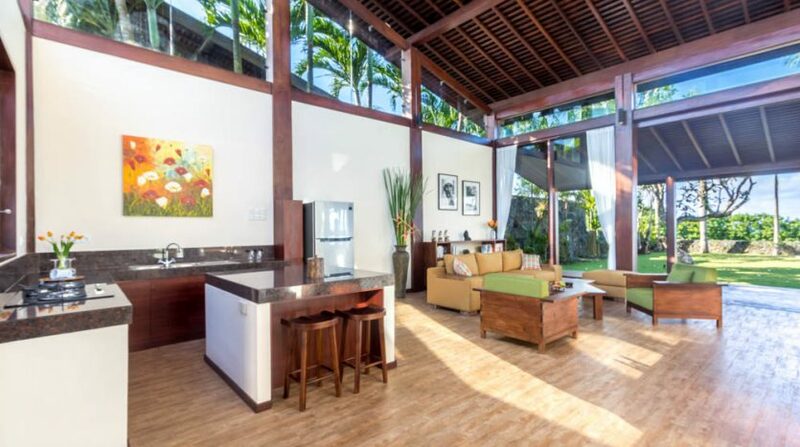 Or with a 99-year leasehold for the IDR equivalent of USD 995,000 at the time of the transaction.